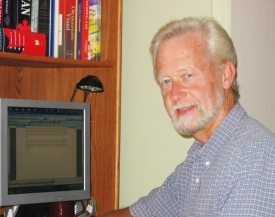 The Writers’ Union of Canada has announced the recipient of the 2015 Freedom to Read Award is the prize’s founder, Ron Brown. The award aims to recognize “advocacy on behalf of free expression in Canada.” TWUC chair Harry Thurston says in a press release that he “can’t think of a more deserving recipient” than Brown. Brown is a current TWUC member and former chair of the organization, a member of the Book and Periodical Council’s Freedom of Expression Committee, a champion of annual Freedom to Read Week, and a journalist and author of 25 books. He will be presented with the award Feb. 25 at Supermarket in Toronto at the Read Write Speak event as part of Freedom to Read Week.